Earlier this year, Apple entered into an agreement with the Federal Trade Commission, promising to provide $32 million in refunds to parents whose children purchased unauthorized in-app items. As it turns out, while Apple was being targeted by the FTC for letting children make in-app purchases without parental consent, the company was attempting to get Google in trouble for doing the same thing. According to a report from Politico, head Apple lawyer Bruce Sewell sent the FTC a report highlighting the same in-app purchase issues in Google's own Play store. "I thought this article might be of some interest, particularly if you have not already seen it," Apple general counsel Bruce Sewell wrote to FTC Chairwoman Edith Ramirez and Democratic Commissioner Julie Brill, pointing to a report that criticized Google's app store over the same issue of unauthorized purchases. The previously undisclosed email was obtained by POLITICO through a Freedom of Information Act request. Apple has long faced issues over in-app purchases, with the company first landing in hot water with the FTC after multiple parental complaints over children over-spending within apps and several high profile stories of children spending thousands of dollars. While most of the focus has been on Apple, Google too has faced the same issues, as children were able to make purchases for up to 30 minutes after a parent entered a password, much as they could in the App Store before Apple implemented specific changes. Apple was not happy to be singled out by the FTC over in-app purchases, as the company had previously settled a lawsuit levied at it over the issue. Under the terms of the lawsuit, Apple had agreed to provide iTunes credit and cash refunds to parents, but the FTC demanded more. At the time, Tim Cook said the FTC's decision to sue over a previously settled case "smacked of double jeopardy," but agreed to the terms as it didn't "require us to do anything we weren't already going to do." Apple officially began sending emails to affected iTunes users and issuing refunds in March. Google has thus far not been targeted by the FTC. Tattled? Is this place being run by children?! A spokespersons for Google issued this statement, Apple is a poo-poo head, and was afterwards put down for a nap. This isn't telling the teacher your classmate is being naughty, it's massive companies who should be treated equally by the likes of the FTC. So I don't see the problem with Apple suggesting the FTC look at Google over the same issues. The situations were not really the same at all. * Parent used password to install kid's app, handed device to kid. 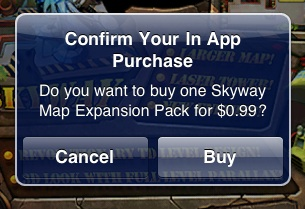 * Unbeknownst to the parent, in-app purchases were ALSO enabled for the next 15 minutes. * Kid hits an in-app purchase. Parent has to enter password AGAIN. * Unless the parent had turned on a 30 minute timeout, the password was required for EACH in app purchase. * Unlike with Apple, each purchase immediately triggered a receipt email, so even if the password timeout was enabled, the parent stood a chance of knowing. This doesn't really seem like tattling; it seems more bizarre that Apple was being singled out over something Google was equally guilty of. Perhaps Freddie Lounds is behind this story. I'm glad to see the FTC taking action. But where were they when phone companies have been cramming, when teen-agers racked up massive messaging charges for years, when airlines slam with extra charges, ditto cable/sat tv companies that keep adding on charges? I'm on "do not call" and get solicitors all the time. As far as I can tell, both Apple and Google are FAR LESS guilty than so many others. Both have been quick to remedy. Maybe that is why they rate so highly in customer sat surveys. Now, T-Mobile's CEO is fighting back too, basically making the same case as Apple and Google. Is Apple tattling? or are they asking the FTC to play fair? Maybe the FTC should start with companies that have low customer sat ratings to find the real predators. As a parent I would be careful on how I let a child use my phone or tablet. These are now sophisticated payment devices. They could have access to banking payments, email, passwords. Just as I would not let them play with my wallet. Yet another good reason why family oriented devices should include multiple user profiles, or at the least, an easy to turn on kid's mode. Should at least consider the possibility that it was a Google agent in DC that drew the FTC's attention to this issue with Apple. Yeah, it couldn't possibly have been some of the 28 million iTunes customers that Apple said they had to contact about refunds after the FTC order. I still don't see why this is a government issue. Its was clearly in the settings to disable the 30 minute window after entering a password. Apple should refund them because its the right thing to do, but I don't see why the government should be getting involved. Then it's a good thing that "bad parenting" had nothing to do with these cases. The basic problem was bad UX design, by having a hidden password timeout mode that activates without giving any warning to the user. That goes for any system that had or has such a default mode. People had no reason to expect such a timeout. Especially with iOS, they had been trained to expect password challenges all the time. Even down to having to sign in to read EULA updates. However, I don't think anyone (other than the game companies who took advantage of it) had bad intentions. And certainly the parents are not at fault. Even Apple thought that, since they cheerfully refunded any mistaken purchases by children. The parents most definitely are at fault... 15 minute window or not (and whether it is documented correctly or not), as a parent you should actually use anything electronic before giving it to your chilod and actually figure out its security and parental controls, not just Assume they work... What if the companies ideas of child protection are not the same as yours? Really i still dont understand why people are giving these devices to kids anyways... my daughters are not allowed to use our iphone or ipads by themselves ever (so i dont even have parental controls on because im doing the parenting myself - holy cow! unheard of! right?). Parental controls or not, you really trust them with a $500 device that they really dont need to be using at that age? And if you are going to let your kids have full use of the device, who is stupid enough to be logged in to an AppleID that has payment information linked? I would always make sure i logged out after a purchase or didnt store a credit card with it (there is no reason to anyways). They tell you not to store credit cards on websites like Amazon for this very reason anyways... and whats to stop these kids from getting on their parents computer, using a saved safari password and saved CC info on Amazon and ordering a bunch of stuff?